 Ohio Concrete partners with CareWorksComp., formerly CareWorks Consultants, Inc. (CCI), to help employers achieve the highest group rating discount possible. CareWorksComp analyzes each employer’s unique claim and premium history to find the highest level of savings from the Bureau of Workers Compensation (BWC) maximum to a smaller percentage for companies with claims. Get a FREE Workers’ Compensation Cost Savings Analysis Today! Employers can us Better You, Better Ohio! to help manage and reduce their workers’ compensation and health-care costs by having a healthier workforce. Meanwhile, workers can earn financial rewards for taking steps to improve their health and wellness such as completing a health assessment and a biometric screening. If you are interested in offering a wellness program to your workers, please contact the BWC. I’m an invited injured worker, how do I join? I’m part of Ohio’s workforce who meets the participation conditions, how do I join? I’m an Ohio employer, can my employees participate in the program? BWC’s 10-Step Business Plan for Safety is the primary component of many of their cost-saving programs including, Drug-Free Safety Program, individual-retrospective rating and experience modifier (EM) capping. However, all employers can benefit from implementing this plan. Here you’ll find more details on each of the 10 steps. The BWC defines each step, outlines requirements and provides implementation suggestions and resources. 10-Step Business Plan for Safety manual – offers additional resources and a plan check list. Download or order by going to our forms and publications page. Self-Assessment for the 10-Step Business Plan for Safety (SA-5) – Formerly used with the Premium Discount Program +, we’ve recently revised this form to apply to any BWC program that requires an annual assessment or simply to assist employers in gauging how successful their efforts are.